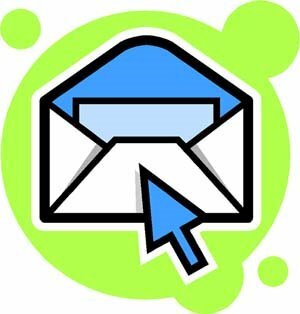 There are two ways to contact us at the SWLing Post: you may email us (using the link below to reveal our email address) or, simply comment on a relevant post. Please note that we receive a lot of email correspondence. If you’re seeking in-depth advice, please allow some time for a response. If you don’t hear back from us, please send another email with “SWLing Post Question” in the subject line. Though rare, our email SPAM filters have been known to catch messages they shouldn’t thus we never see them. Note again that you can always comment with questions in an appropriate posting as well. The SWLing Post has a daily readership in excess of 5,000 individuals; if you post a question in the comments, there’s a strong likelihood it will be answered! That really depends on your budget. You should be able to buy any of the Tecsun models in India. I’m very fond of the PL-380, PL-390, PL-600, PL-660. All of them work quite well. The 380 and 390 lack single side-band, but are excellent receivers for broadcast MW/FM/SW. I scanned the waves with my loved tube radio, and found That Firedrake is all over the place. In between segments, you can hear the stations Beeing jammed by Firedrake. thanks for the reply Thomas, looking forward to your post. hi,i am looking for a SW radio that can be used in an off-grid location (rechargable/ wind-up/ 12 volt DC/ or solar powered), that can pick up a wide range of english speaking stations from here in SW Spain, fantastic audio quality, in the £100-200 price range, and can pick up ham etc transmissions in an emergency (with SSB?). I know NOTHING about SW, so the CCRadio-SW looked about right, except it doesn’t have SSB. Any other suggestions? While, I am going to write a proper post answering this question. This isn’t the first time I’ve been asked and it’s a great question. I live in a small solar home as well, by the way; one that’s partially off-grid and at about 3,300′ ASL. I really enjoy your enewsletter and website. I’ve got a Grundig Mini 300 for traveling, and now I’d like to get a good tabletop SW receiver. I’d rather buy at a hamvention than via the internet. Are there any scheduled for Atlanta or Georgia this year? Thanks! Thanks for the kind comments, Martin! You might just find a great bargain in a used tabletop receiver as well. Also, check with Universal Radio in Ohio. I would need I of the desk top. The local radioshack stores in Springfield might have a selection of shortwave radios, but you are better off ordering one of the receivers mentioned on the reviews page from Universal Radio or Amazon. I checked the Radioshack website and it looks like they don’t carry the good and relatively inexpensive brands such as Tecsun or Kaito. I really have only good things to say about Universal. Nevertheless, I did notice that my local Shack had the Grundig G3 last weekend for $99.95, as I recall. I imagine RS will be selling off their G3 stock before long. My hunch is that the G3 may be on the way out, with (hopefully) something to replace it. I’ve only heard rumors, nothing verified, though. Great site. I may have said it before. It’s worth saying again. Keep it up. Thank you. I have a question about “throw away your ac adapter.” I would prefer to leave the batteries in the receiver and use an external adapter to charge them – usb or solar. Would that work? Charging time is not a great convern. Thank you. Please keep me updated on the shortwave radio archive project. I have an SDR and can participate with 192khz of various parts of the spectrum. I’m even thinking of automating recording/uploaded of .wav files from my SDR.